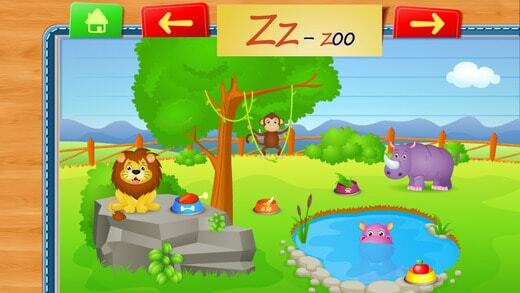 Our latest toddler app review is a great educational app called 123 Kids Fun Alphabet. My family recently went on a holiday and this app was one of the favorites while we away. My toddlers (1 and 3) both enjoyed this, asking to play it often. It is more suited to the older toddler (older 2 year old and up), although my 1 year old enjoyed the games. The teacher in me loves the fact that this is an app that my toddlers enjoy, while also providing a high level of educational value. 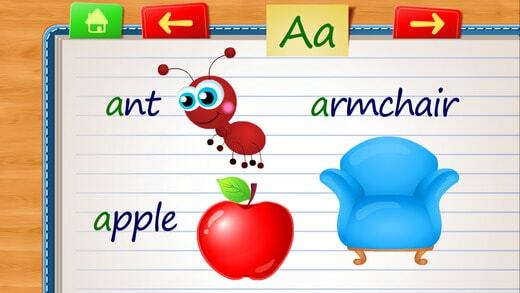 The app focuses on learning the alphabet, and has a variety of activities for each letter. There is a ‘Learning Mode’ where children can choose which letter they would like to practice and includes a tracing activity, a fun interactive game and 4 words begging with that letter. There is also a ‘Practice Mode’ which focuses on letter identification, simple spelling and writing formation. As with most popular apps there is the opportunity to receive stickers as they go – always a hit with my kids! One of the benefits of this app are that it can be used for quite a few years. My 18 month old enjoyed the games (with assistance), a 2 year old would enjoy the tracing and the games, and older children can progress to the simple spelling activities. 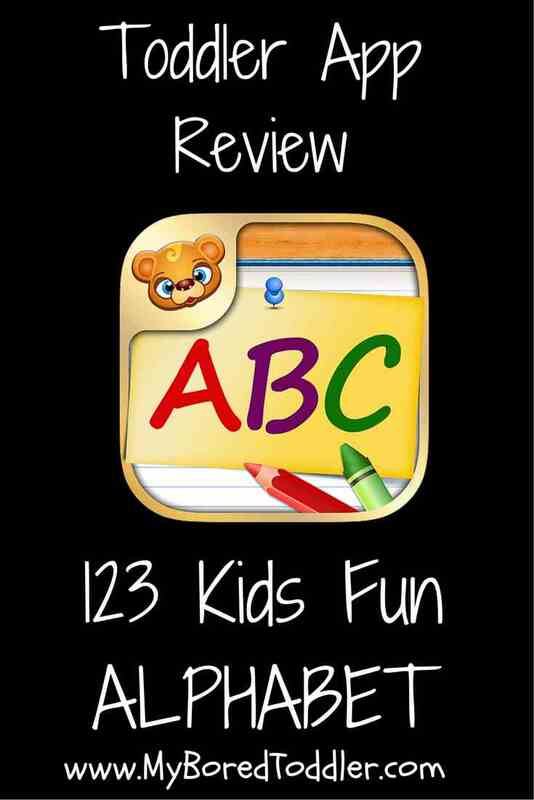 With so many alphabet games on the market, it can be difficult to stand out, however ABC 123 Kids Fun Alphabet has created an engaging, entertaining and educational app that is well worth the few dollars to download. Download the app now from iTunes, Google Play or Amazon. If you want to keep your toddler busy makes sure you subscribe to our weekly newsletter and follow us on Facebook, Twitter and Pinterest.